January 30, 2016 (Ulson Gunnar - NEO) - Since 2011, Syria has fought desperately to hold itself together as a single, unified nation. Threatened from the beginning by the "Libya precedent," Washington and its regional allies have openly conspired to divide up Syria as a consolatory objective upon failing to topple Damascus outright. It was hoped that the Syrian government could be pushed from Damascus and sent fleeing to Syria's western provinces of Latakia and Tartus. From there, the US hoped to create a Saudi-Qatari-Turkish dominated central state with a Kurdish territory linked up with US-backed Kurds in northern Iraq. Forever divided against itself, Syria would never again function as a powerful ally of nearby Iran, Lebanon's Hezbollah or Russia and distant China. 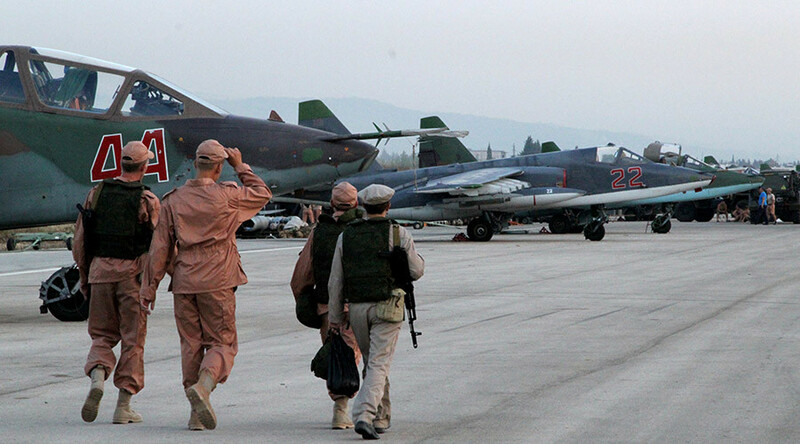 Russia's intervention in Syria has all but prevented Damascus from falling. And while the Western media has attempted to claim the intervention has made little difference, so successful has it actually been that attempts by Turkey to establish its long-sought after "safe zone" in northern Syria have also all but evaporated. Syrian troops backed by Russian airpower have moved from Latakia along Syria's border with Turkey toward the now much reported-on A'zaz-Jarabulus corridor while another force pushes north from eastern Aleppo toward the Turkish border. Elsewhere, Syrian forces are securing Damascus, pushing Western-backed militants over their southernmost border with Jordan and pushing east toward Raqqa itself. 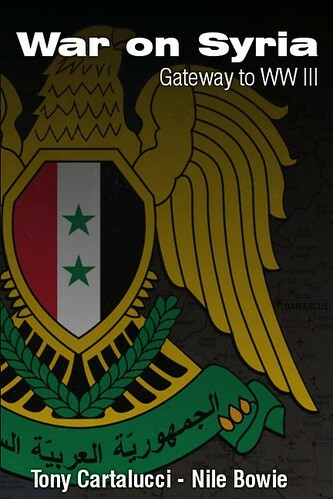 What has been left for the US and its regional allies is a possible attempt to invade and occupy Syria's northeast. The US has already been allegedly carrying out ground operations in this region supposedly in support of "Kurdish" and "Arab" forces that make up what it calls the "Syrian Democratic Forces." A spokesman for the US Department of Defence said its small team in Syria needed "occasional logistical support". The answer can be found in Qamishli, Syria, teetering near the Syrian border with Turkey and only 50 miles west of the US' alleged airstrip in Rmeilan. Qamishli is the site of what is alleged to be a growing Russian presence, including a burgeoning airbase. ...Russian experts had “arrived to explore” the Qamishli airport’s “readiness and to check what is needed to develop and use it” near the Turkish border. 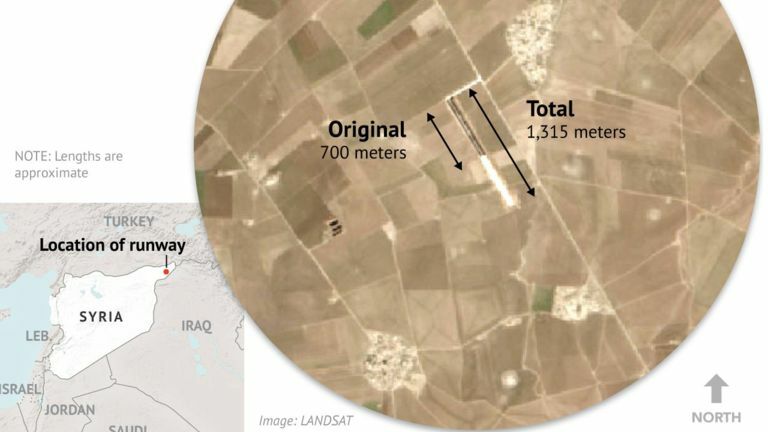 The report added that Russian warplanes were expected to use the airport in the “coming days and weeks.” Qamishli is located south of the Turkish border town of Nusaybin. It would be the check to America's latest, and perhaps final move in an overarching game the West has been sorely losing in Syria. Russian forces, if they are indeed setting up in Qamishli, will establish a permanent bastion in Syria's northeast. 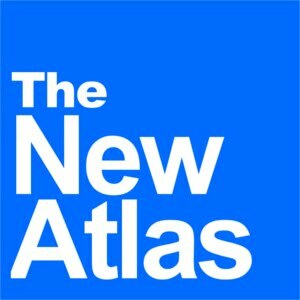 When inevitably Syrian forces cut off terrorists from their foreign supply routes and reestablish control over Syria's largest cities back west, they will be able to reenter the northeast of their nation in force with Russian backing up to and including onto the doorstep of any illegal US occupation. There would be little the US could do to stop this, and no strategic or tactical means of "holding" territory already under the control of Syrian-Russian forces. Syria and Russia are displacing US ambitions to occupy Syria with physical forces that once in place will be difficult to remove. The US will come to the bargaining table with its "Syrian Democratic Forces" operating at the fringe of Syrian territory, with a Russian airbase standing between it and Syria's interior. Meanwhile, the lion's share of military victories against both Al Qaeda forces masquerading as the West's "moderate fighters" and the "Islamic State" (IS) itself goes to Russia and Syria, not the US. It should be abundantly clear that the US has lost the political war, the proxy war and now possibly checked in the "base war" as well. How much more the US wants to lose before withdrawing from yet another quagmire of its own creation depends on how much credibility the US believes it can still afford to lose as it pursues hegemony openly in front of an increasingly aware global public that has begun effectively fighting back.